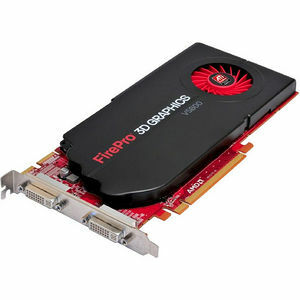 The ATI FirePro™ V5800DVI professional graphics is an ideal solution for Medical Imagine. CAD or DCC professionals who need two large high resolution displays but don't require the latest display technologies. Extending prior DVI display investments, the ATI FirePro™ V5800 DVI drives two large high resolution DVI displays, allowing users to see more and do more.